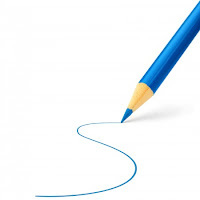 In a hard-fought non-compete case originating in Rhode Island, the First Circuit Court of Appeals rejected an employee's unique defense under the blue-pencil rule. Specifically, the defendant did not argue that the district court failed to narrow the non-competition covenant properly, but rather contended that the court could not find that he "breached" a covenant which was only made reasonable by virtue of the blue-pencil rule. The court rejected the defendant's position and held that it would "give the promisor in a non-competition agreement one free breach requiring a prior judicial order before the provision could be said to have been violated." A contrary result would have yielded a clear result the court was unwilling to sanction: for all but the most narrowly tailored non-compete agreements, an injunction may be the only effective remedy to protect the employer. Allowing a prior breach to fall within a broad safe-harbor would leave many employers without redress, even in the most egregious situations, and would deprive the employer of the benefit of his bargain even if it could show actual damages. There is some limited support, however, for the opposite view. In Texas - generally an employer-friendly state - the governing non-compete statute provides that damages cannot be awarded before an order of reformation. Of course, Texas has a public policy that overbroad covenants must be reformed to make them reasonable, and apparently the legislature determined that a limitation on damages was a proper trade-off in favor of the employee. It is notable that the First Circuit did not even cite the Texas statute. The First Circuit's decision confirms that such an unprecedented interpretation of a non-compete agreement is not something a court should decide. In the absence of a specific statute or contract clause, a prior breach of a modified non-compete is still a "breach" - and can support a damages award.